We would like to personally invite you and your class to spend some time on our farm. 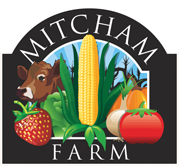 Bring your class or school group to Mitcham Farm and let them get "in touch" with their food with a combination of education and fun! Not only will a visit to our farm provide this canvas for learning, but it could also present a great opportunity for your class to interact outside of the classroom early in your school year. We'll provide a day of hands-on experiences as they explore our farm, play, and learn about the importance of agriculture. There are tons of activities for kids at Colonel Cob's Corn Maze in the fall and other fun and educational opportunities during the summer. 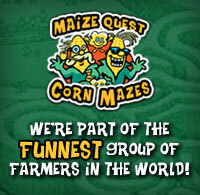 Our attractions include a 7-acre Giant Corn Maze, hayrides, and more. For a complete list of attractions, visit our Attractions page. Preschoolers are welcomed at Mitcham Farm. We have activities suited perfectly for them! They'll be able to play in a corn-filled Corn Silo, enjoy the Play Area, take a hayride, and more. We love kids and focus on education through play, experience and entertainment. Students are welcomed at Mitcham Farm. A visit here makes a great field trip for homeschool, public school, or private school students. Young and old alike should enjoy the Giant Corn Maze in the fall and many other attractions including our Giant Slide, Pedal Karts, Corn Cannon, and hayrides. TEACHERS: Click here to view a list of standards by grade covered on a field trip to Mitcham Farm and/or further applied on activity sheets provided for your students. Do you have a group with less than 20 students? Come on out to the farm on one of our special Fun & Learning Days, specially designed for homeschoolers, play groups, and other smaller groups. Enjoy mingling with other groups as you enjoy all of our farm attractions. Your visit will include all Field Trip options offered to larger groups. Come for all or part of the day. Enjoy a hayride with educational talk at one of the times listed below (available on a first come, first serve basis). Pre-registration is required. Various options are available for summer field trips. Please call (770) 597-6346 for details and to customize and schedule your group. Please note that reservations are required. We encourage you to book as far in advance as possible to ensure you get the date you'd like!